The government has brought some 306 upazilas under cent percent electricity coverage, 55 upazilas are awaiting for full coverage inauguration while the rest of 154 upazilas would be brought under electricity coverage by June 2019. State Minister for Power Energy and Mineral Resources Nasrul Hamid revealed this on Tuesday while he was asked by the reporters on Tuesday. “A good news is awaiting for the country as all upazilas will be brought under power coverage by June 2019, a true reflection of the present government’s sincere efforts to rid the nation from load shedding,” Nasrul Hamid said. The present government, he said, under the bold and dynamic leadership of Prime Minister Sheikh Hasina has already brought some 251 upazilas under cent percent electricity coverage. Highlighting the steps taken by the present government to make the country self-reliant in power production, Nasrul said currently 91 percent people of the country are getting electricity. He said the government after taking office has undertaken measures to meet the power demand and started implementing various short, medium and long-term power projects as well. 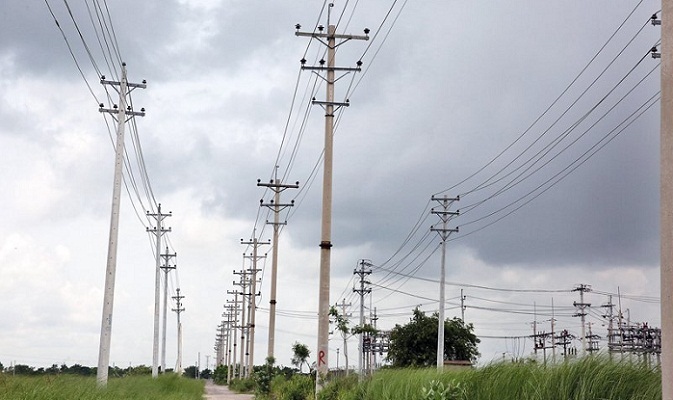 According to a ministry official, the Bangladesh Rural Electrification Board (BREB) has been working fast to achieve its target to bring 465 upazilas under electricity coverage by June 2019. The BREB made a commitment to provide over 30 lakh new electricity connections. Some 78 Palli Bidyut Samiti (PBS) under the BREB have been implementing various development projects as the government has comprehensively extended the electrification coverage through construction of lines and connections to bring power facilities to the doorstep of every citizen. Talking to BSS, Director General of Power Cell Engineer Mohammad Hossain said currently the number of power consumers rose to 3.18 crore and per capita electricity generation is now 464 kWh while the annual development programme allocation is Taka 25,695 crore in 2018-19.